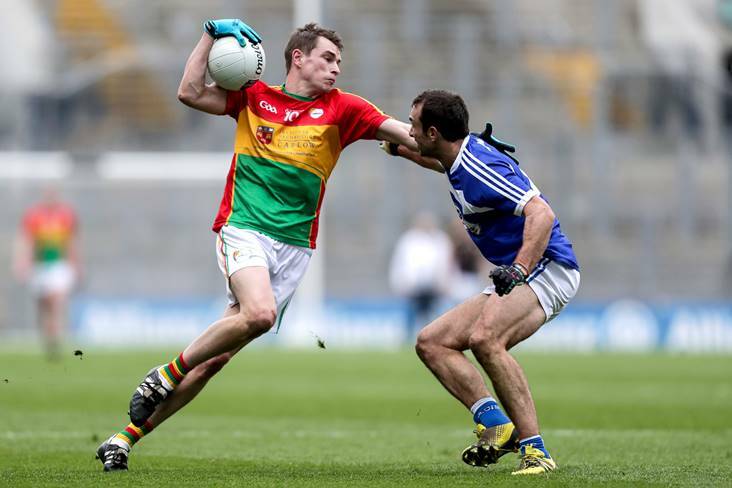 Eire Og's Sean Gannon in action for Carlow against Laois. ©INPHO/Laszlo Geczo. Carlow’s Sean Gannon has hit back at criticism they received following their defeat to Longford last Sunday. The Barrowsiders were expected to record another win in the NFL 3 campaign when they faced an understrength Longford side at Netwatch Cullen Park. But, it was the Midlanders that came out on top and despite the good run of form that Carlow have been on over the course of the last 12 months or so, some of their supporters were very vocal in their disapproval of Sunday’s performance. “That is their issue,” Gannon told the Carlow Nationalist. “They don’t see the bigger picture. We want to win games and that is how you do it.